Dalmore Vintage 1996 is a fine vintage from the Distillery's Single Malt series aged in Porto casks. 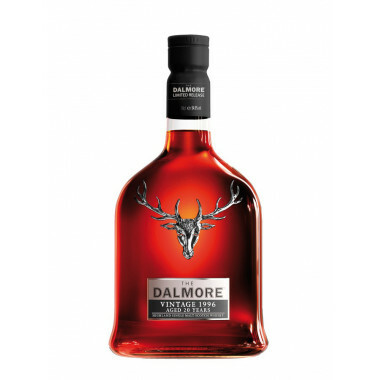 Dalmore Vintage 1996 is an expression of the series of vintages from The Dalmore refined in Porto casks with the 1998 and 2001. This Single Malt illustrates the special relationship that the distillery and cellar master of the W & J Graham's house based in the Douro region of Portugal have developed for many years. This 1996 version has aged in American white oak barrels before being refined into vintage Colheita Porto Tawny barrels. Marked by gingerbread, plums and passion fruit, Dalmore Vintage 1996 is the perfect match between the character of The Dalmore whisky and the influence of Porto casks that bring sweetness and complexity.